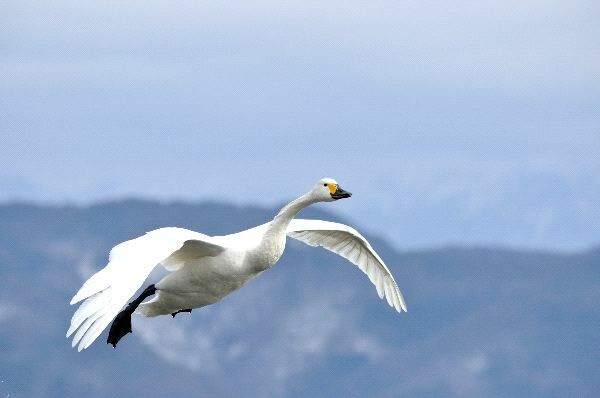 The Tundra Swan is a lovely bird and one that many people can easily recognize. They can range in size up to 45-60 incheswith a wingspan of up to 65-85 inches. The average weight is about 8 to20 pounds. The males are usually much larger than the females. The bill and the feet of the Tundra Swan are black with the rest of the body white with very detailed plumage. The juveniles may have gray on the head and the top part of the neck. As they mature though that will change and they will have the same coloring as the adults. 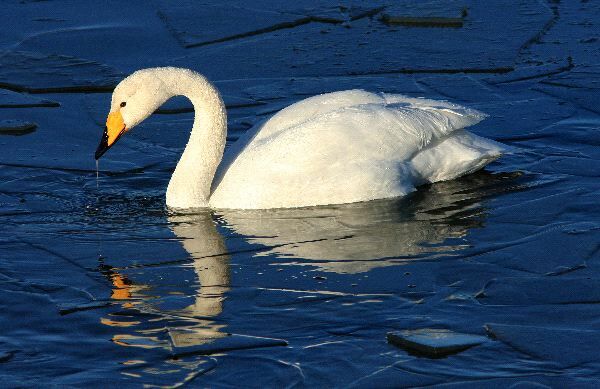 The tundra of North America is where you will find this swan. They spend most of their time either in the water or around the water. They tend to live around lakes, swamps, and other bodies of freshwater. Canada has very large numbers of these swans and they are scattered throughout theUSA. During the winter season they will form large flocks that go into warmer areas. They will stay on the water even when it turns to ice during the winter months if they don’t migrate. Some will stay behind if they are confident they can find enough food. For example those that live at parks where humans often bring food to them on a regular basis. They are often seen with their bottom up at the top of the water and their head well below it. This type of body design allows them to benefit from eating food and plants that are found in the water. The loud honking calls are common with the Tundra Swan. They tend to live in large flocks and that means lots of interaction. They can form sub groups among the larger one. From the outside it may look like chaos, but to them it is a well balanced communication system. The Tundra Swan takes advantage of the seeds, grains, and other items offered from agricultural fields as they move around their environment. They will also find aquatic plants that they consume in various bodies of water. They can spend many hours per day leisurely consuming food. For many farmers though this swan is a problem for them. They don’t like the large numbers of them coming to dine on their crops. The Tundra Swan is going to stay where it can find food, and that often attracts more to the flock. In no time at all they can destroy large areas of crops so farmers have to be proactive to limit destruction. Mating takes place after the migration season in the spring time. They males can be very aggressive to each other to be able to mate with a female. Mating rituals can include calls and dancing before the mating begins. They often mate for life so they choose their partner carefully. If one mate dies the other usually won’t pair up again with another. If they do, it will be many years before they do so. They will create nests on the ground from grass and moss. Both the male and the female take part in this effort. They will use various materials to line it. The female will lay from 3 to 5 eggs into the nest. The female will incubate them while the male is either bringing her food or he is watching out for potential predators. Approximately 30 days later the young will start to come out of the eggs. The young will emerge from the eggs able to swim within 24 hours. They will often stay with the parents until that winter when they are going to migrate to warmer temperatures. Mating typically begins with the Tundra Swan is from3to 4 years old.